A few years ago, Volkswagen set out to develop a spiritual successor to the widely successful Touareg SUV and aimed to produce a model that was even larger, stronger, and more versatile than most consumers could even dream of. 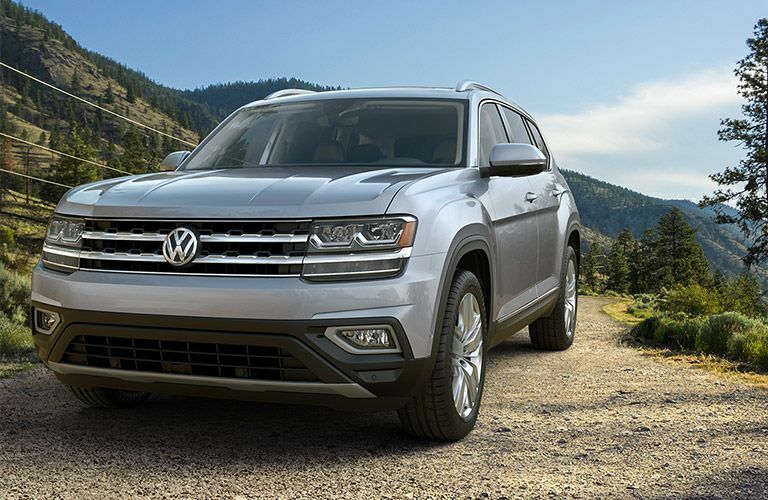 That’s exactly what has transpired with the Volkswagen Atlas, a testament to athleticism mixed with refinement that the VW model line is known for. With an ultra-powerful and smooth-shifting drivetrain, high levels of tech innovation throughout, and an appearance that can illicit confidence from any driver, the Atlas is one of a kind; it’s available today for the 2019 model year in Janesville WI! 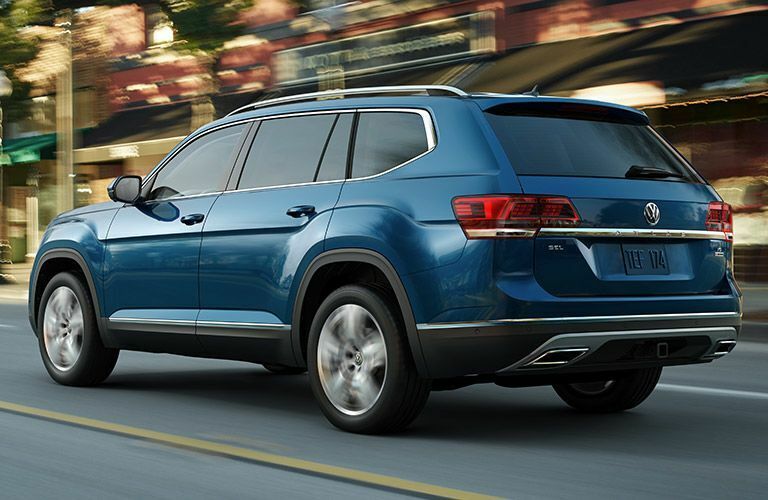 Equally as important as the build quality of the car you drive is the total price you can expect to pay for it, which is why Boucher Volkswagen of Janesville is so proud to be able to introduce consumer-friendly savings on all our models – come check out what’s new with the 2019 Atlas, as well as how you can get inside! As the largest in the Volkswagen family, the 2019 Atlas has a big reputation to uphold. 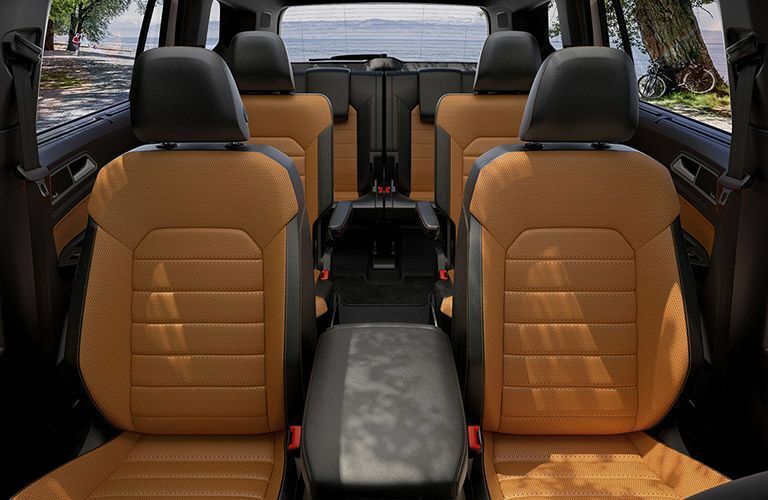 It does so by offering up to 96.8 cubic feet of cargo volume, as well as seating for as many as eight passengers. A hands-free power liftgate and panoramic sunroof are both yours for the taking as well, letting everyone ride forward in comfort and awe. You’ll get your choice of two available engines with the 2019 Atlas by your side – it offers a 2.0-liter turbocharged four-cylinder or 3.6-liter V6, the latter of which can produce up to 276 horsepower and tow as much as 5,000 pounds! Plus, with an 8-speed automatic transmission (with Sport Mode) and 4MOTION All-Wheel Drive, you can stay centered and controlled no matter what the Wisconsin elements throw your way. The 2019 Atlas is quite a looker both inside and out, thanks to its sleek, cutting lines, diamond quilted cloth seating, and standard 20-inch triple 5-spoke alloy wheels. Add this to LED headlights and taillights, and no matter where you go, the 2019 Atlas ensures that you’ll always make a striking first impression. Because SUVs are generally counted on to transport families and valuables, it makes sense that the 2019 Atlas brings some of the best driver assistance and safety innovations on the American market to your cabin. These include: Adaptive Cruise Control Blind Spot Monitor Light Assist Lane Assist Area View Park Assist Park Distance Control w/ Maneuver Braking Many more! All of this can be yours for a starting price south of $31,000, and with America’s finest bumper-to-bumper warranty, the 2019 Atlas definitely has your best interests in mind. Contact Janesville VW today to schedule a test drive and work out a financing deal!